Abingdon's culinary scene is rooted in Appalachia. Abingdon was recently named one of the Top Small Town Food Scenes in the country by USA Today Travel, and it's not hard to understand why. The town is home to 34 independently owned restaurants, a surprisingly high number, considering Abingdon’s total population is just north of 8,000 people. In fact, according to Eater.com, that means Abingdon has more restaurants per capita than San Francisco, New York, or New Orleans! This three-day itinerary highlights Abingdon's outstanding culinary scene that's truly rooted in Appalachian traditions. Arrive in beautiful historic Abingdon, check into one of our eclectic B&Bs, hotels, cottages or inns. Once you're settled in, head out for dinner on our historic Main Street - where you won't find a single chain restaurant or shop. The Tavern serves up fine dining inside Abingdon’s oldest building, constructed in 1779, while Sisters at The Martha offers a sophisticated menu and a cozy, pub-like atmosphere. Attend a performance at the historic Barter Theatre, The State Theatre of Virginia. This beautifully preserved theatre was founded in 1933 during the Great Depression, when actors bartered an evening’s entertainment for food from local farmers. Be sure to head to the second floor lobby to view a collection of vintage photos from Barter’s unique agricultural past. Start the day off with a trip to the Abingdon Farmer's Market, where you can sample the freshest local produce and the best handmade goods the area has to offer. After spending the morning at the market, take time to stroll the beautiful downtown to visit the many unique specialty and antique shops and grab lunch at one of our distinctive farm-to-table restaurants. 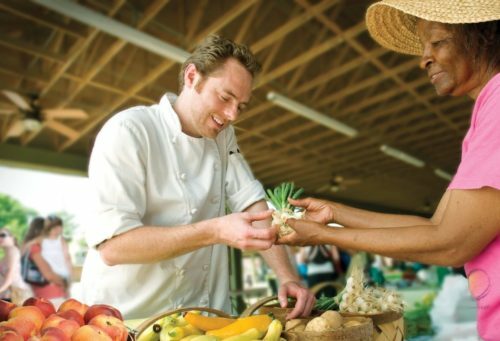 There's a good possibility you saw chefs from local restaurants shopping at the market for the freshest ingredients. Head to White’s Mill, a working grist mill dating back to the 18th Century. Tour the mill itself, and then pick up a souvenir at Cumbow’s Mercantile next door. You’ll find stone ground grits and cornmeal, as well as local crafts and antiques. You may find that very same cornmeal in menu items at The Harvest Table restaurant, where you can enjoy locally-sourced cuisine and artisanal goods in their General Store. The restaurant is owned by Barbara Kingsolver and Steven Hopp, inspired by their best-selling memoir Animal, Vegetable, Miracle. In addition to the produce grown on its own Harvest Table Farm, they offer the products from over 50 regional farmers, gardeners and ranchers. Enjoy brunch at White Birch Food and Juice, a farm to table restaurant recently profiled in Vogue. The menu features all local meats, eggs, and goat cheese, plus an extensive list of raw, fresh pressed juices. White Birch also features a creative cocktail menu: take your brunch mimosa to the next level with house-made grenadine and hibiscus. 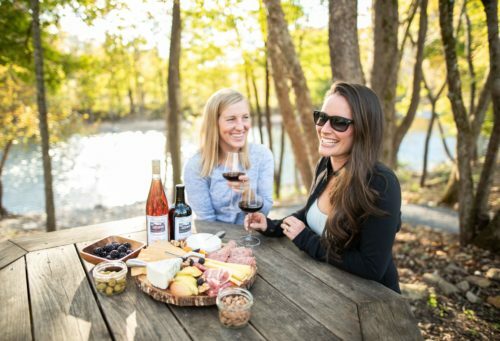 Take the scenic 20-minute drive to Abingdon Vineyards, located along The Virginia Creeper Trail. This farm winery offers scenic views of the South Holston River from the tasting room. With easy access from the trail and its own boat launch, this winery sees as many visitors by bike, horse and boat as it does by car! Heartwood features spectacular mountain views and tasty regional cuisine, plus locally roasted coffee and a regional wine and beer menu. Check out the wide variety of artisan products, and learn more about the heritage music of the Blue Ridge Mountains; Heartwood is the headquarters of The Crooked Road: Virginia’s Heritage Music Trail. 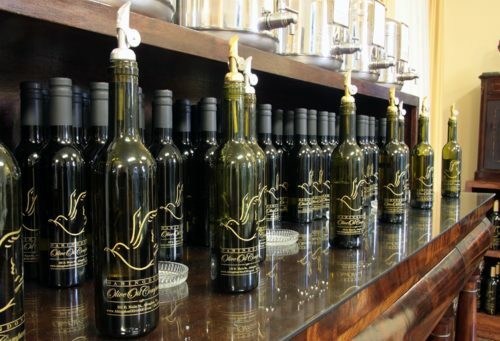 Before you leave, be sure to visit the Abingdon Olive Oil Company tasting gallery and Holston Mountain Artisans, one of the oldest craft cooperatives in the United States, offering a wide selection of finely-made gift items, decorations for your home, musical instruments, and local artwork, books and photography.